Horses are beautiful creatures. Sleek and powerful. Portrayed by artists using most artistic media. The first piece in this chapter is a lithograph by #JulesLaurens (1825-1901). It is after a painting by #RosaBonheur (1822-1899). 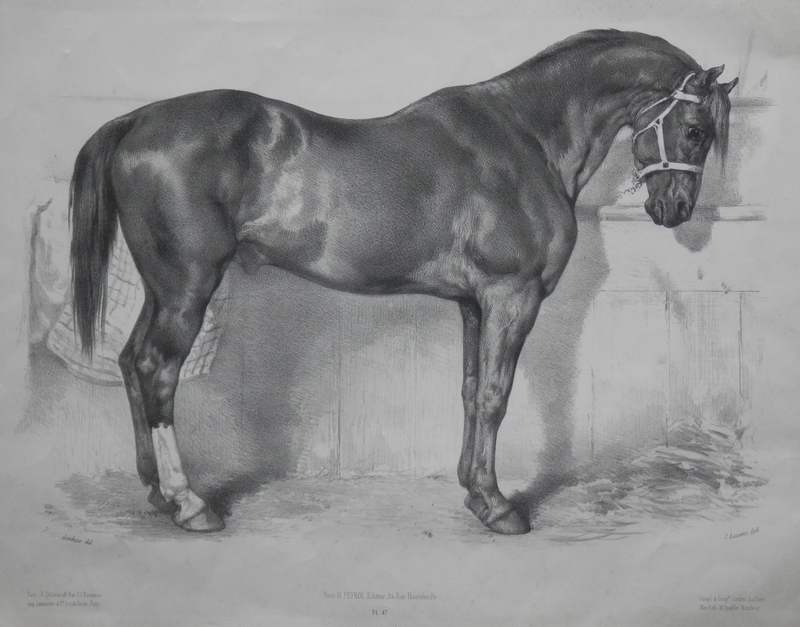 A stunning portrayal of a stallion by lithographer Jules Laurens, who is best known for his oriental works. He travelled to Turkey and Persia and made thousands of drawings which exhibit the sites, costumes and people which he encountered on the scientific journey led by geographer Xavier de Hell. He returned to France and exhibited his paintings and engravings for the next 40 years in most the great salons. But this image comes from a painting by Rosa Bonheur. A French painter of animals. A realist painter and a sculptor as well. Her most famous works hang in Paris and New York. She is considered to be the most important female painter of the nineteenth century. Another image from the early 19th century entitled ‘The Proportions of an Arabian, Quite on a New System’. A lithograph by #HenryBernardChalon (1770-1849). Henry specialised in sporting scenes and animal paintings. He had royal patronage but was over-looked by the Royal Academy who favoured George Stubbs’ style of portraying animals. 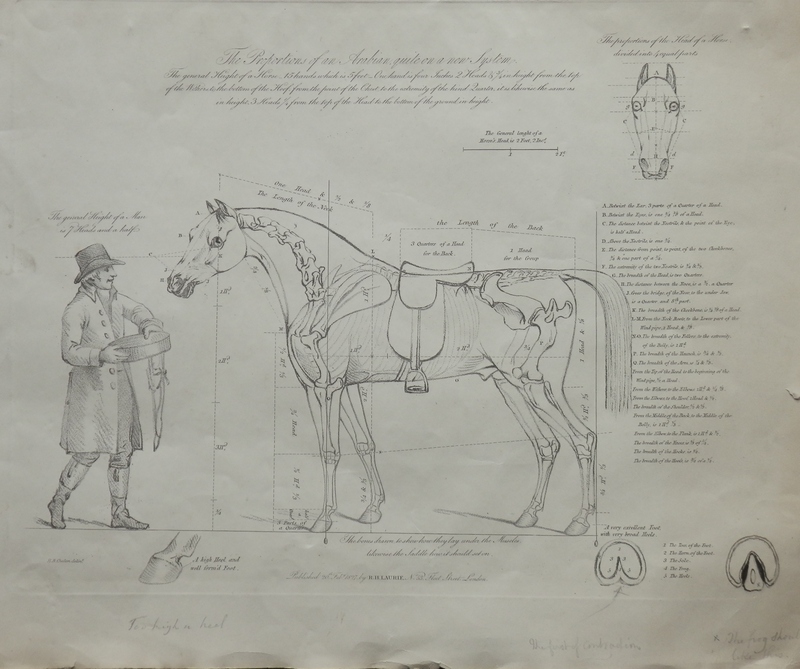 I am not sure why this way of measuring a horse was new but I like the comments added in pencil under the foot and the right hand hoof which is done in pencil also correcting the artist’s portrayal to the left. 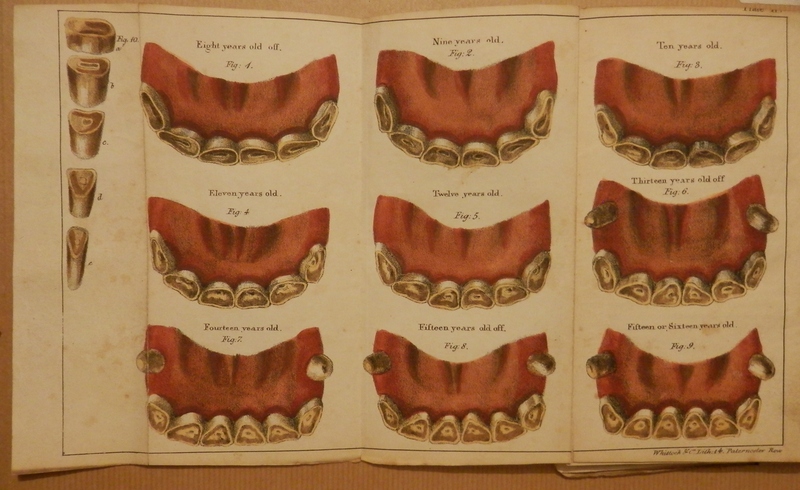 And to finish a re-issue of the lithographs in Girard’s ‘Treatise on the Teeth of the Horse’ 1829 first edition which is in my small collection of books. 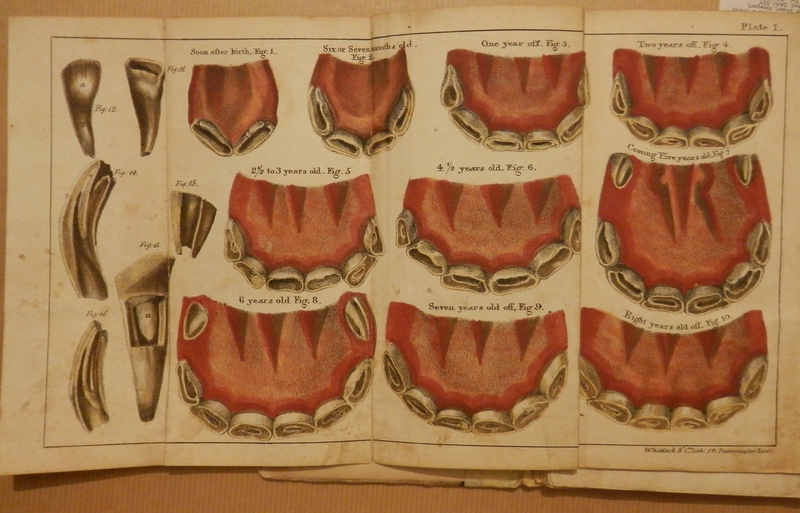 This entry was posted in Lithographs and tagged hoof, horse, saddle, stallion, stud, teeth. Bookmark the permalink.